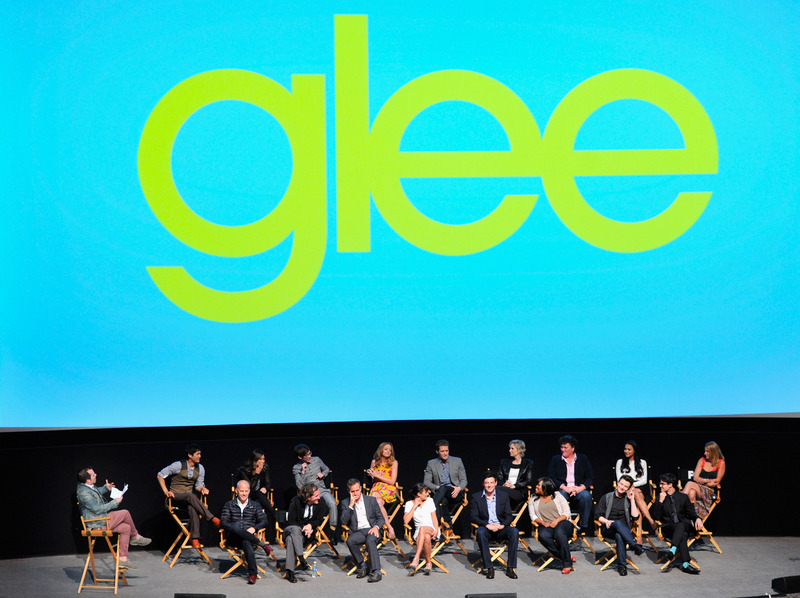 Glee's been through a lot over the seasons — both on and off screen. Whether you're still a devoted fan or jumped ship before they even made their first foray to New York, there's no doubt about it: This cast has experienced a lot together. Which is what makes this compilation video of behind the scenes Glee cast bonding is supremely sweet. If you're wondering why the video — which you can see below — features so much more Harry Shum Jr. than any other castmate, it's because the thing was put together by Tenth + Fourth, the website Shum founded*. But don't worry, it features pretty much the entire rest of the cast as well (and it's not like Shum's face is a terrible one to look at). And the video features multiple backflips, great/terrifying makeup, reminders that Chord Overstreet can be a perfect dreamboat when placed at a piano, really great shots from filming and from their tours, and lots of bittersweet shots of Cory Monteith. Also Chewbacca. Glee's hundredth episode airs tonight on Fox, and will welcome back a ton of familiar faces, including Heather Morris, Dianna Agron (who'll bring along former Gossip Girler Chace Crawford as a dude named Biff McIntosh), and many more. *Note: This originally read "the dance troupe Shum founded," but was proven factually incorrect, as Tenth + Fourth is a website for fostering creativity and commerce. The error has been corrected.